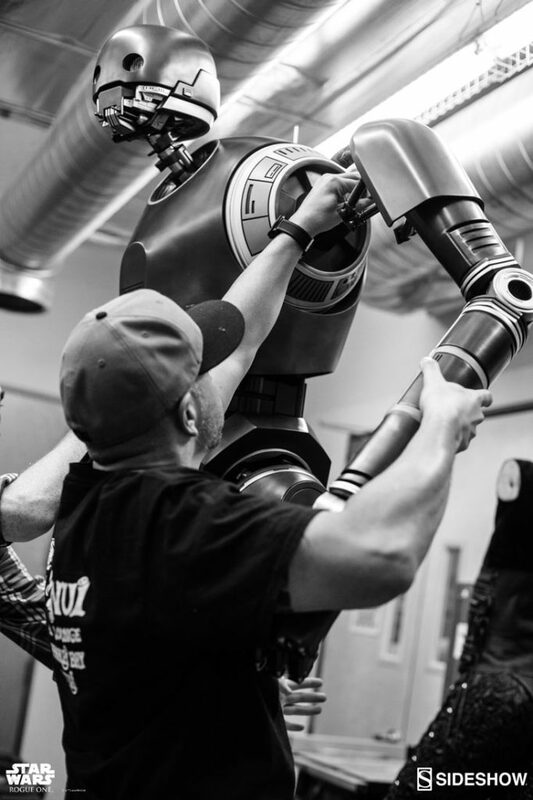 Go behind the gears of Sideshow Collectibles' giant 1:1 scale K-2SO figure, debuting at San Diego Comic-Con. K-2SO is back — in all his full, towering, “And there’s a fresh one if you mouth off again” glory — thanks to Sideshow Collectibles. 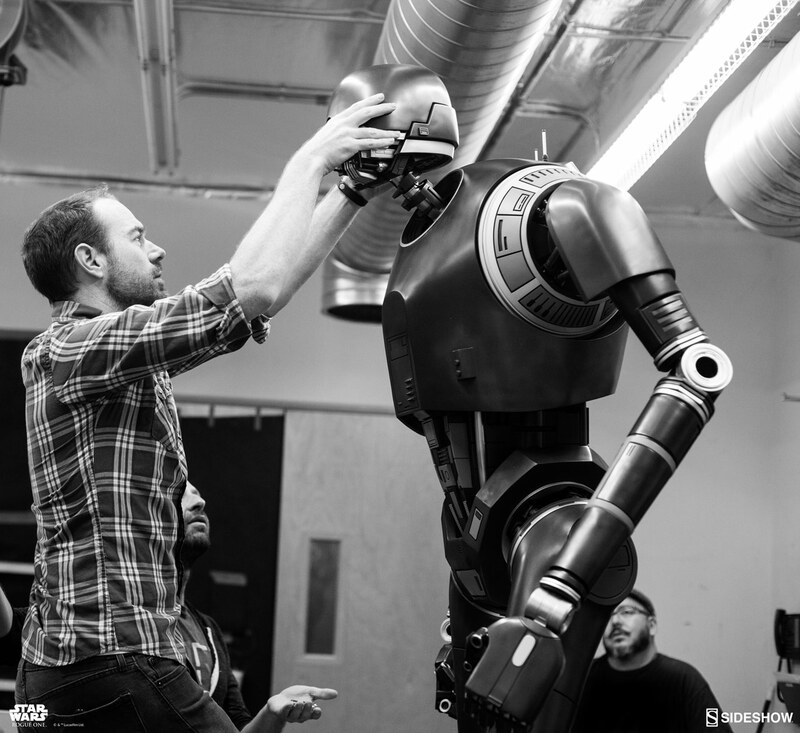 StarWars.com: Just from these behind-the-scenes photos, the Sideshow K-2SO is so impressive. There’s weathering, the gears in his joints, light-up eyes — all kinds of intricate detail, not to mention its size. Where do you begin with something like this, and how long did it take to create? 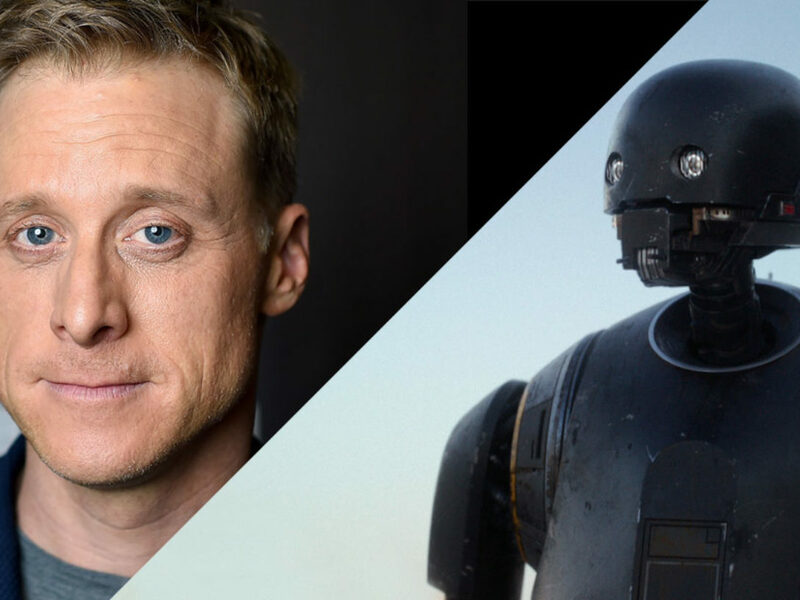 Matt Bischof: The K-2SO project actually started way before Rogue One was released. 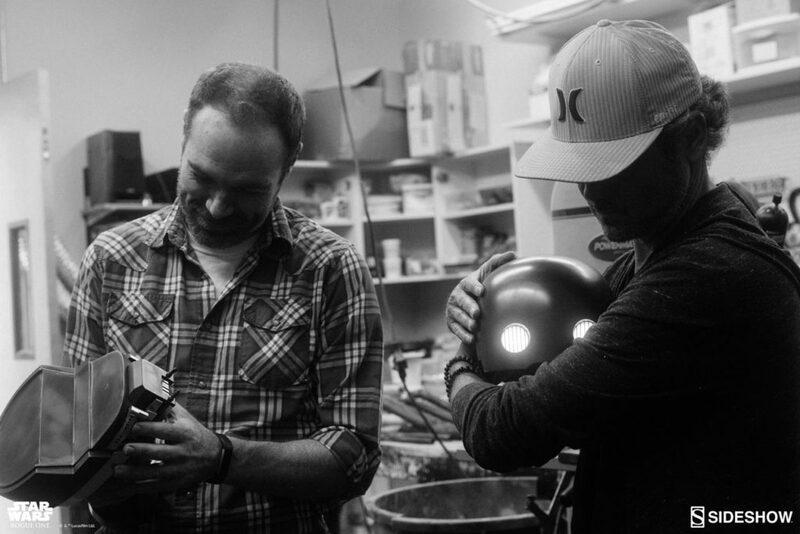 We initially began working on a quarter scale K-2S0 piece months before the character was unveiled to the public. 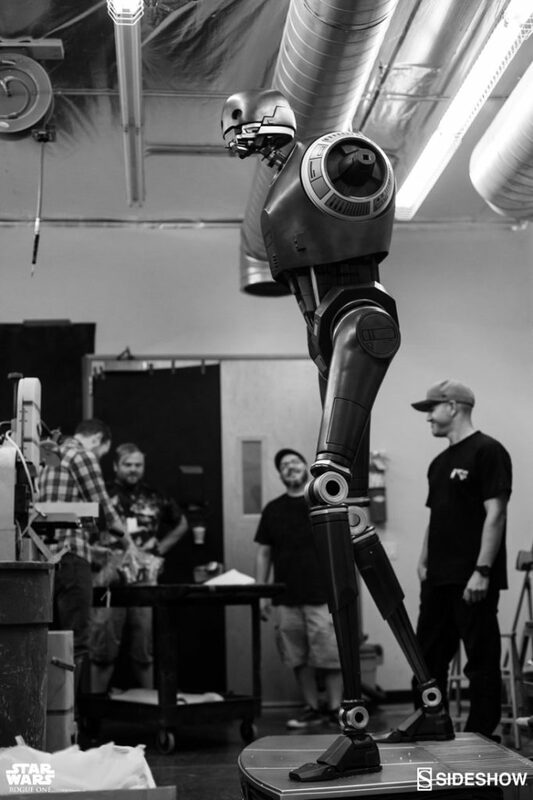 As K-2SO is an entirely CGI character, the laws of physics don’t need to apply, and getting our quarter scale version to stand proved to be extremely challenging. We had this head-scratching period while we figured out the structural challenges posed by Kaytoo and his unique shape. Meanwhile, we had this amazing, painstakingly-sculpted and engineered design by our own Aaron McNaught ready to rock, and we thought…let’s go big! 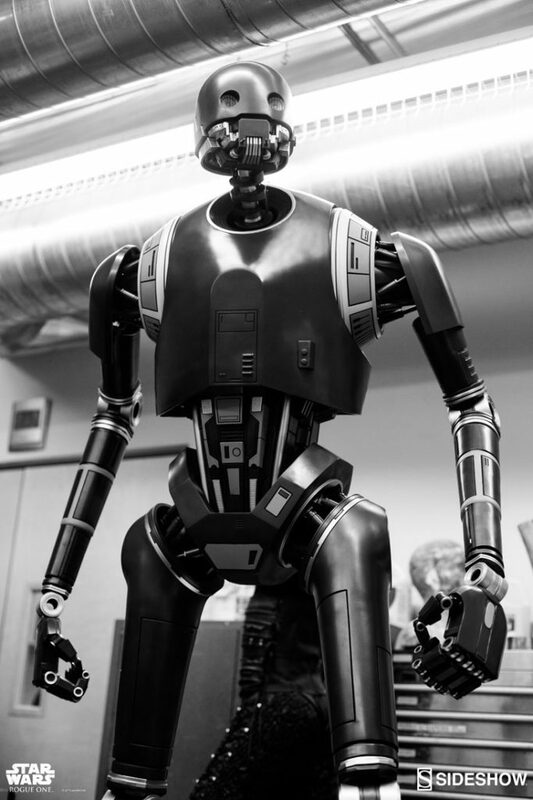 We decided to push ahead and develop a massive 1:1 scale version of K-2SO based on Aaron’s designs. At that scale, we could control the weight distribution and balance with greater ease. We did a few passes, modified the pose slightly and did some tests with our large format printing partners, and he slowly came together. Seeing him stand for the first time was really something. We then brought in Sideshow artist Anthony Mestas and his impressive weathering and texturing skills to add more of Kaytoo’s beaten-up charm, and he was finally alive. The cherry on the Kaytoo project sundae was that after all of these experimentations bringing the 1:1 project to life, we were able to also troubleshoot the 1:4 scale project, too. So we were able to forge ahead with two completely different scale versions of one of our favorite characters. 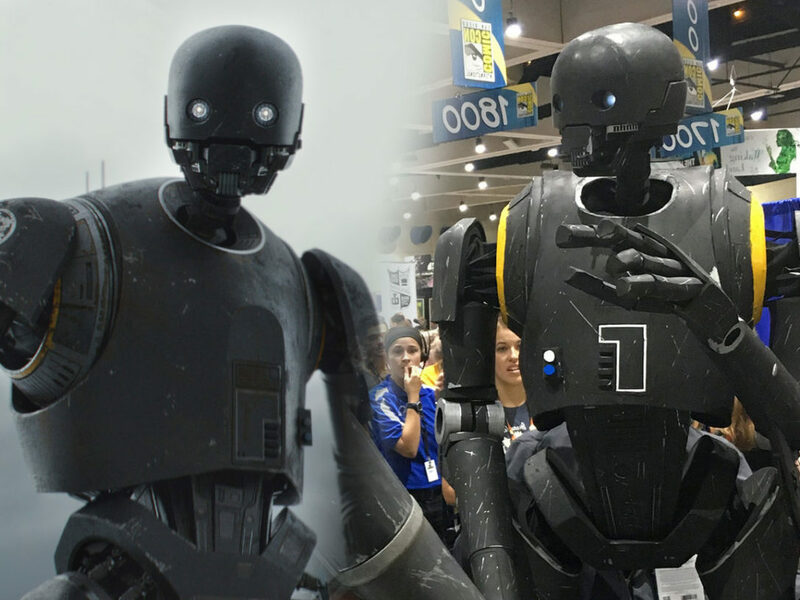 We are delighted to reveal both the 1:4 scale and 1:1 versions of K-2SO at San Diego Comic-Con. 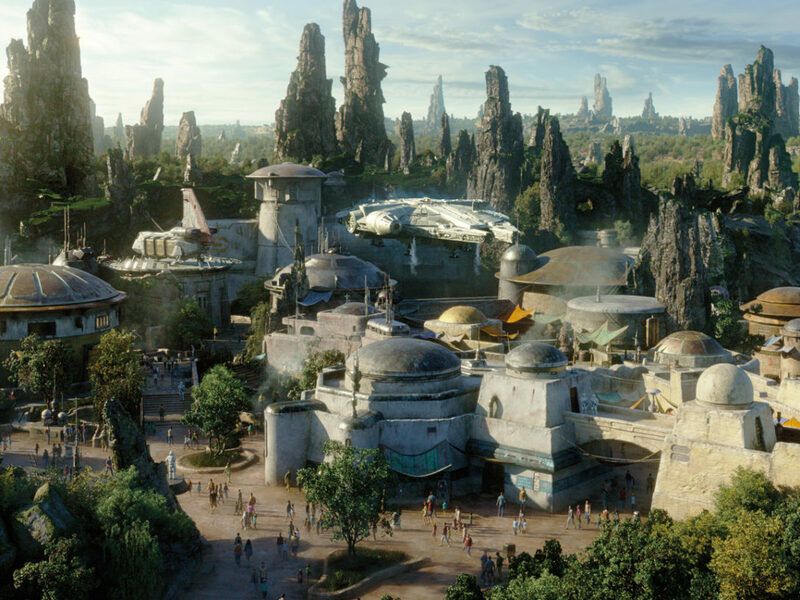 StarWars.com: What else can you tell us about the process? 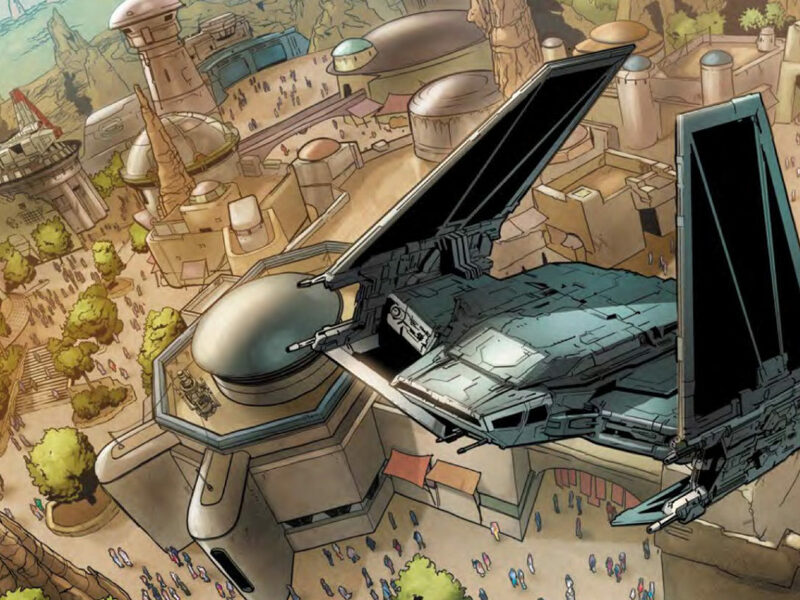 Did you use photo reference from Lucasfilm or anything like that? 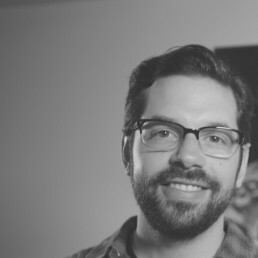 Matt Bischof: We worked directly with Lucasfilm to obtain the reference very early on. 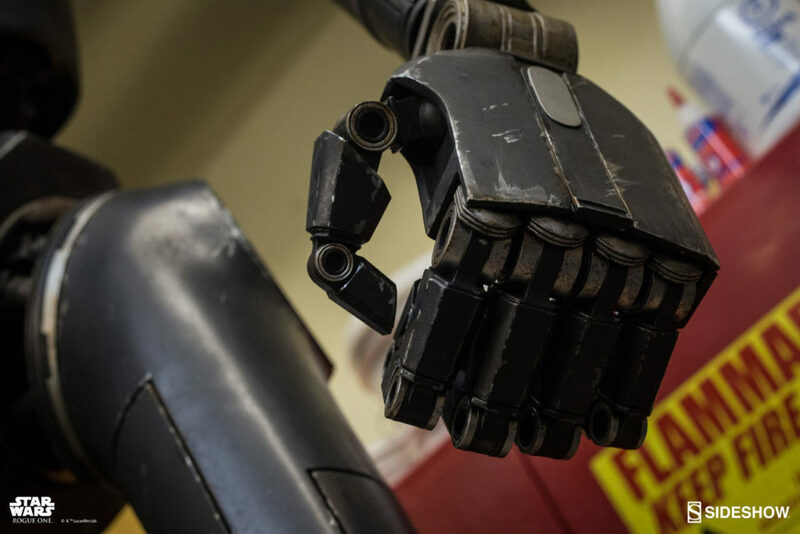 But since the character was entirely computer-generated, he went through several minor iterations and adjustments during the making of the movie. It was nothing major, but there were some minor tweaks between what we first saw and what we ended up seeing on the screen. 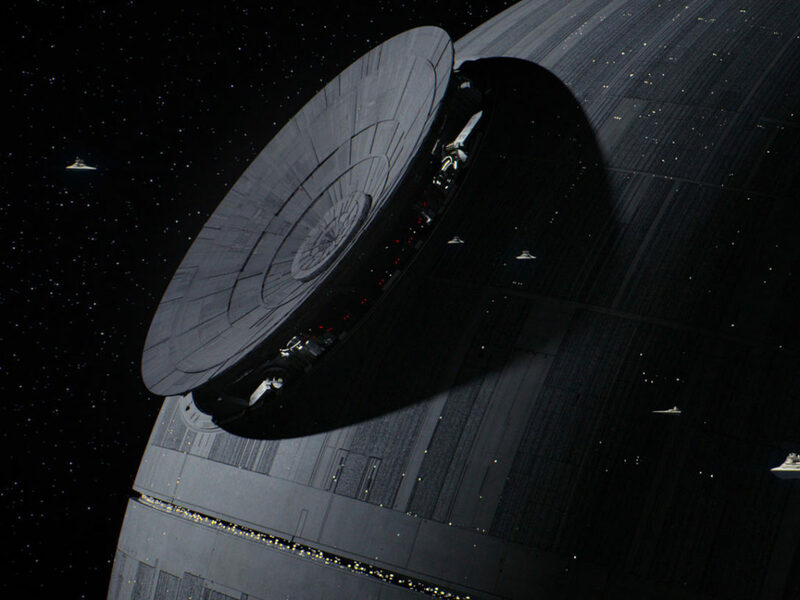 We didn’t see any physical 3D props; we worked from images supplied by our friends at Lucasfilm, and therefore Aaron’s sculptural work was based entirely on the reference we received. I think this actually highlights Aaron’s amazing ability to extract those really small details — it’s truly amazing how much he could analyze and extract from those reference images. 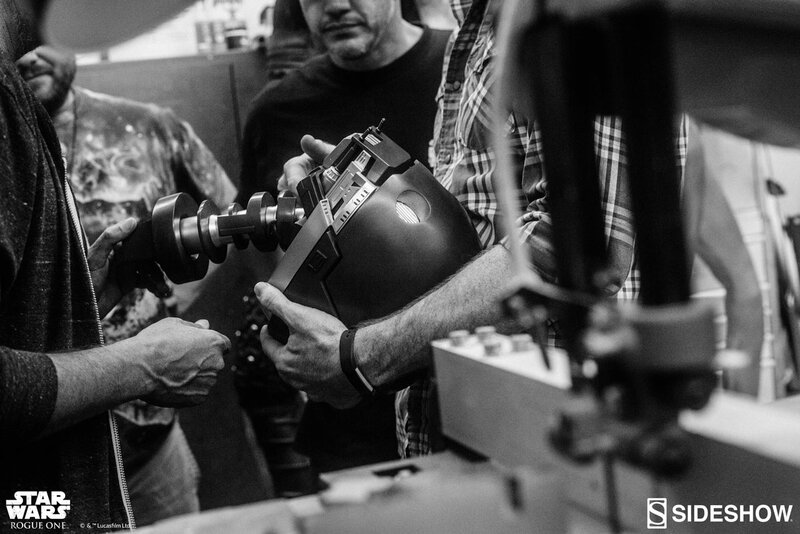 He spent countless hours poring over that reference material, figuring out how this cool droid fit together and moved. The base was also a fun challenge. We spent hours going through the reference material to try and get the colors correct, then once he was based out, Anthony went to work to come up with a custom weathering deco scheme. 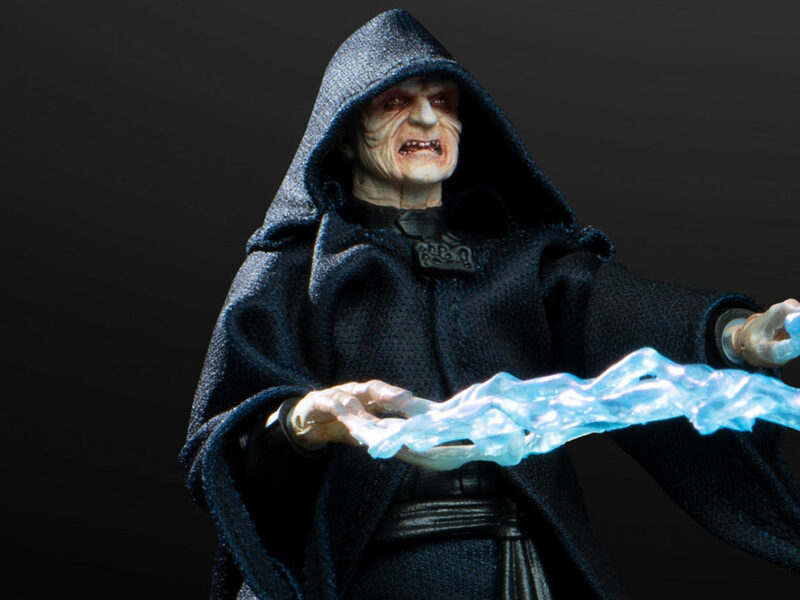 StarWars.com: How did you land on this pose? 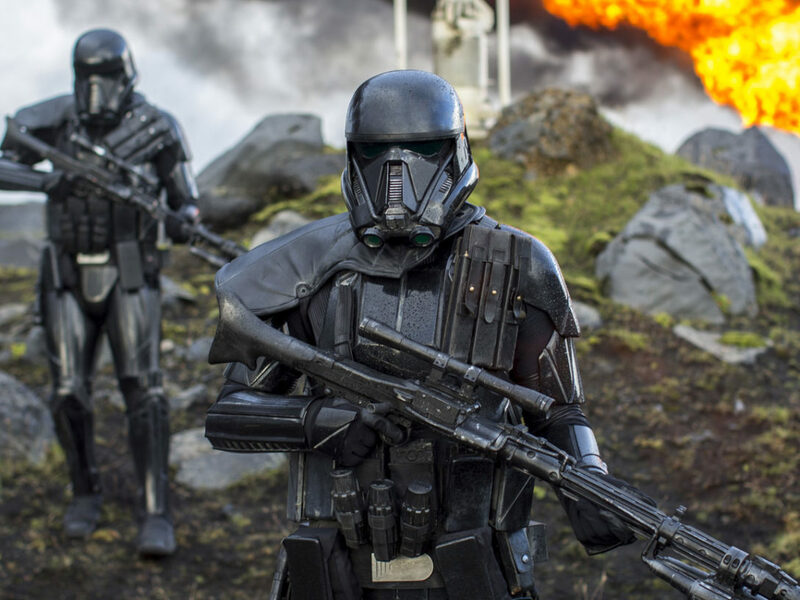 He looks heroic here, but K-2SO could also appear threatening depending on his body language. Matt Bischof: We always try to show a frozen moment in time. More than just a static pose. We want to create a figure that has character. 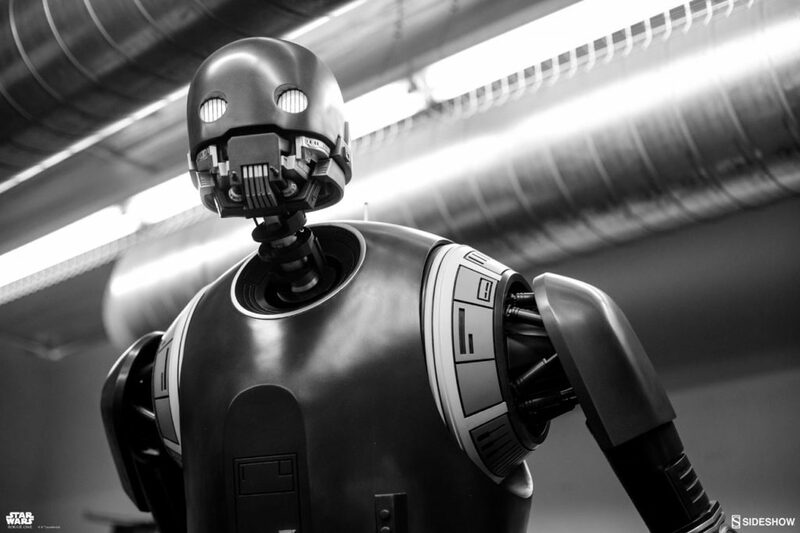 K-2SO is a brawler, he’s an enforcer droid — but the character’s personality in the film didn’t necessarily project the same effect his physical appearance does. He’s still imposing, but there’s more to him than just a tough guy. He’s also funny, and heroic, and sad. It’s an incredible design to be able to convey all those subtleties. We wanted that duality. Is he ready to throw down, or to deliver a sarcastic comment? You decide. 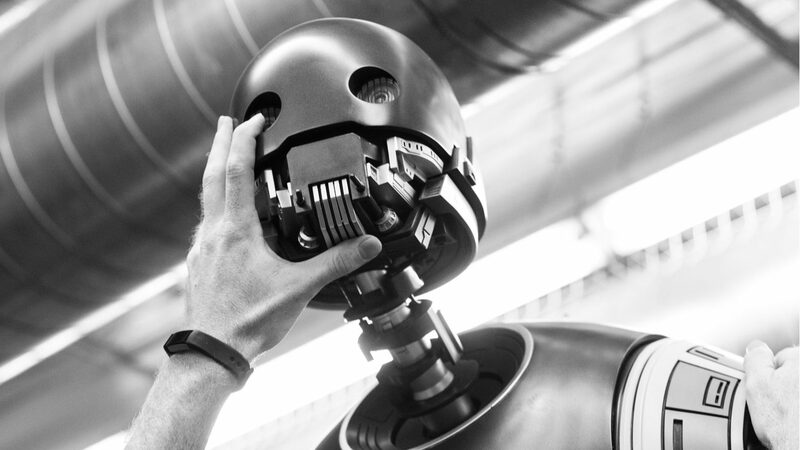 StarWars.com: In creating this, what did you learn about K-2SO — whether it’s a design detail, how he “functions,” or something else — that you didn’t know just from seeing him in Rogue One? Matt Bischof: The pistons in his shoulders are really impressive. 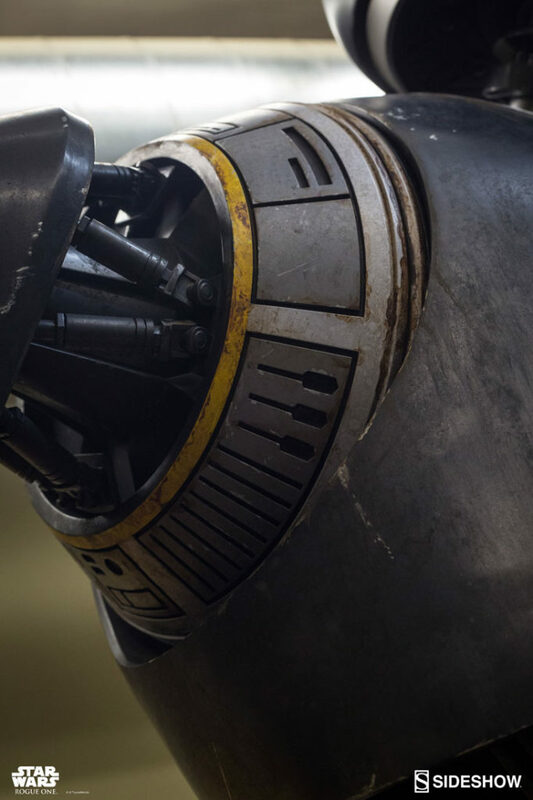 If this was a working, functioning, moving droid — the movement of those pistons in conjunction with his arm movement — wow, that would be an impressive sight. 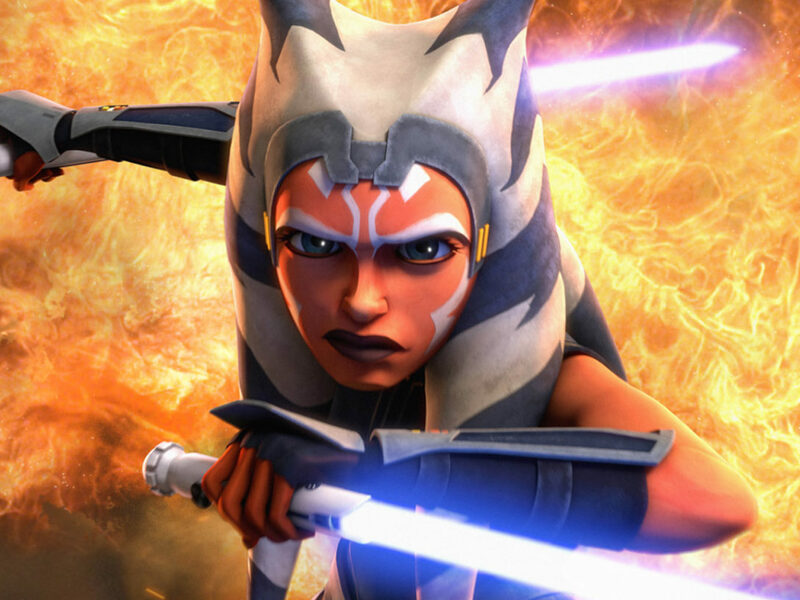 StarWars.com: How does it feel to bring a character like this to life in this way? Matt Bischof: We’ve been around the project for so long. It’s exciting to finally see him standing there looking back at us when I walk into work each morning. The real joy is going to be when I see the attendees on the convention floor and the moment they see the piece for the first time. It really is stunning to see him standing there; you get a real sense of how imposing he was as a character. I hope everyone loves this guy as much as we do!